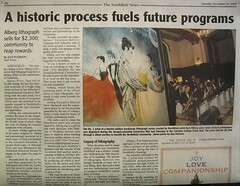 The Governor’s Ball held on December 17, 2005 was the capstone event in Northfield, Minnesota’s Sesquicentennial Celebration. 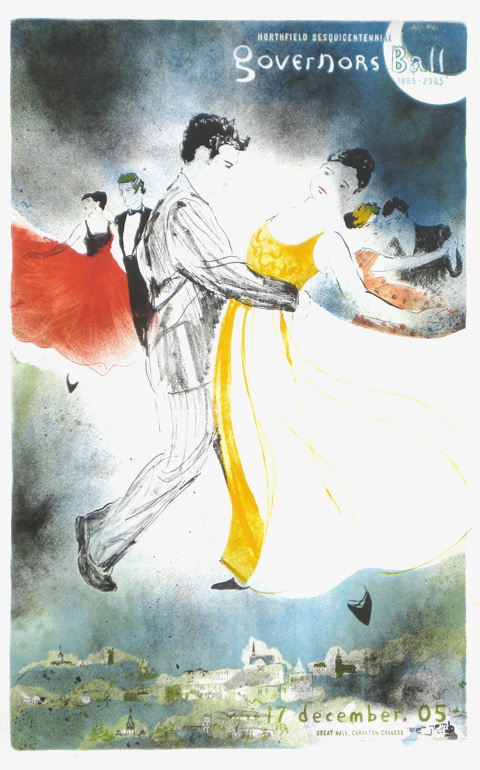 This was print commissioned to celebrate the event with a large, festive print in the style of Toulouse-Lautrec. The lithography press was rescued from the former “A.C. Schultz Litho Company” in Milwaukee, Wisconsin and weighs over 6000 pounds. The press had to be disassembled and lowered down a condemned elevator shaft, repaired, and then reassembled in our present printmaking studio. 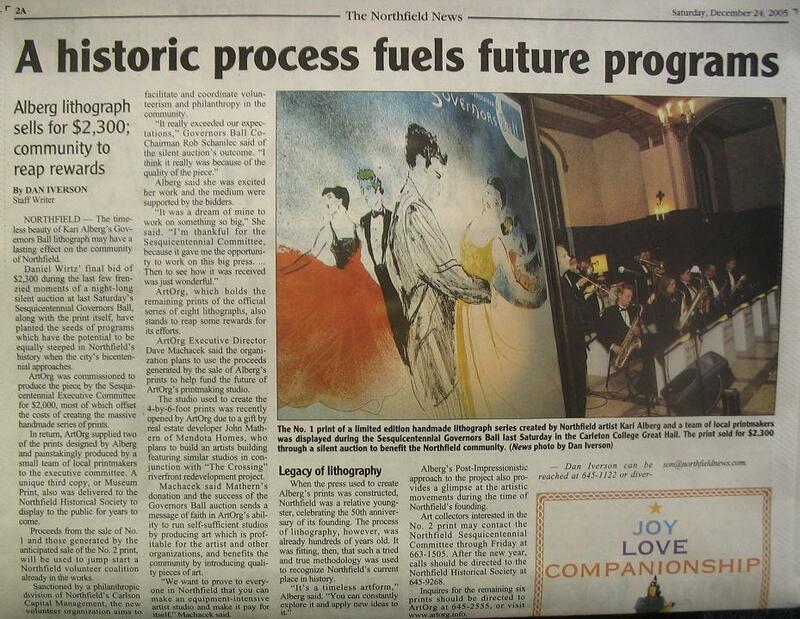 The Northfield Governors Ball Lithograph was the first print project pulled in over many-dozen years on this historic press. 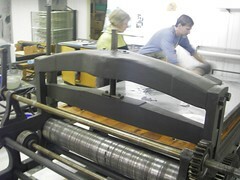 This press is purported to be one of only three vintage lithography presses of this size by Rodney Hammon of the Tamarind Institute. One of the prints was designated “Museum Proof” and given to the Northfield Historical Society to he held in their archives for future generations. Two prints were sold the night of the event where the print was unveiled, and this allowed the commissioning committee to double the support they had pledged to create the print in the first place. 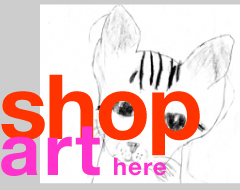 ArtOrg donated one print to the 2006 Laura Baker Services auction and that was sold for $2000. In the fall of 2009, a print was also donated to the Friends of the Institute charity event called “Art Perchance” to raise money to transport kids to the Minneapolis Institute of Arts. 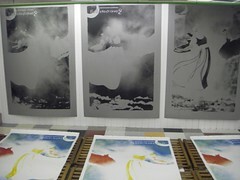 Four-aluminum-plate litho from vintage press.